2 hour Wine Tasting starts every day at 5pm. Sign up is required to reserve your spot. The tasting is conducted in English. Contact us for private groups. Slovenia is home to the oldest vine in the world. Even the Queen and the Pope own a bottle of wine that was made from it. There is a vineyard or a winery on every 70 people in Slovenia and we consume 94% of wine we produce. There are over 50 types of vines that thrive in Slovenia and 7 native wine varieties. Wine plays such an important role in our culture that our national anthem is actually a toast. 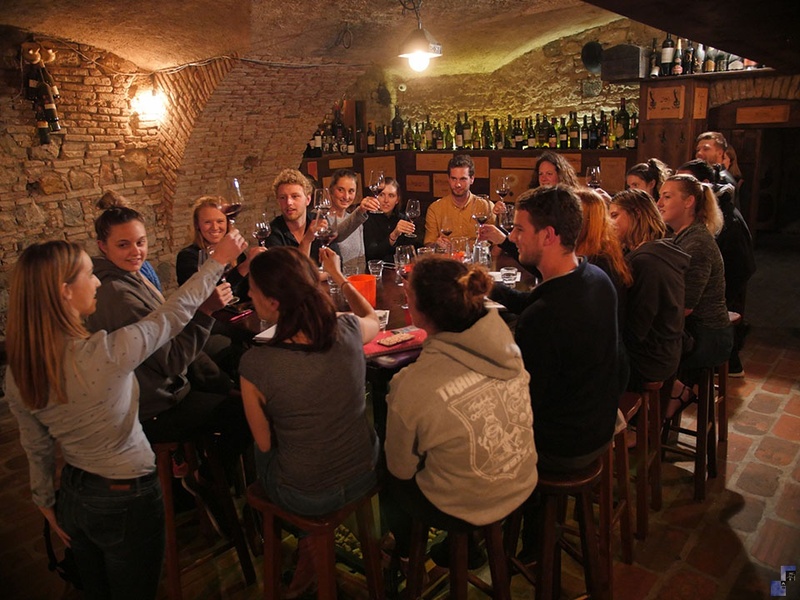 Ljubljana is the first city in the world to host international wine evaluations.